Brooks & Dunn score their seventh No. 1 on the Top Country Albums chart — and first in nearly a decade — as Reboot debuts atop the tally. 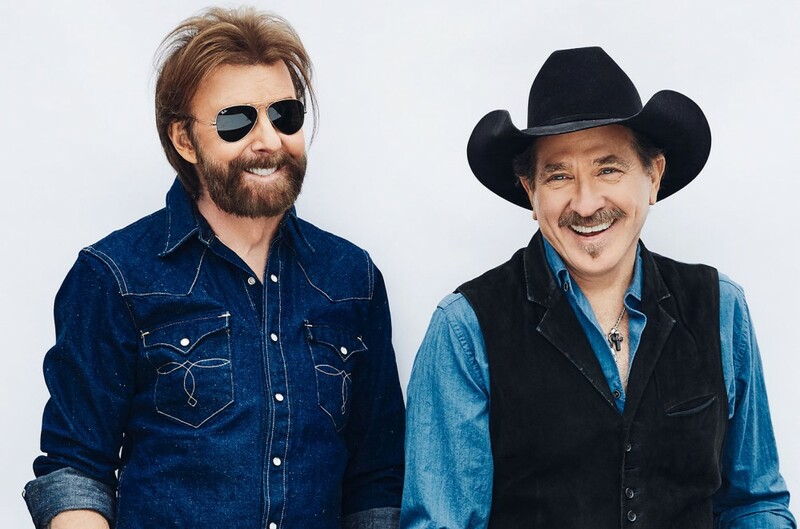 The all-star collaborations effort features the duo of Kix Brooks and Ronnie Dunn covering their familiar hits with the likes of Kacey Musgraves, Luke Combs and Thomas Rhett. The album bows with 31,000 equivalent album units earned in the U.S. in the week ending April 11, according to Nielsen Music, with 21,000 of that sum in album sales. The Top Country Albums chart ranks the most popular country albums of the week in the U.S. based on multi-metric consumption as measured in equivalent album units. Units are comprised of traditional album sales, track equivalent albums (TEA) and streaming equivalent albums (SEA). The new April 20-dated chart (where Reboot enters at No. 1) will be posted in full on Billboard's websites on April 16. Brooks & Dunn were last at No. 1 on Top Country Albums back on Sept. 26, 2009, when their greatest hits set #1s… And Then Some debuted in the penthouse. The pair notched its first leader on the chart with 1994’s Waitin’ on Sundown. The twosome later topped the tally with Borderline (1996), Steers & Stripes (2001), Red Dirt Road (2003), Hillbilly Deluxe (2005) and #1s… And Then Some. As previously reported, the duo also scores their 10th top 10 album on the all-genre Billboard 200 chart, as Reboot bows at No. 8. With the arrival, the act breaks out of a tie with Rascal Flatts for the most top 10 albums on the Billboard 200 among country duos and groups.